Your garage door opener has probably been there for a while and is still working fine. However, we have some good reasons you may want to replace your garage door opener. It may serve a simple purpose, moved by simple mechanisms, but there are safety, convenience and security considerations for improvement. You may be thinking, “if something’s not broken why fix/change it?” We’ve got good reasons why. For one, newer models come with features designed to outperform the modern thief. They also consider added safety features that prevent many accidents recorded over time. Considering how new models provide these improvements, you may want to consider buying a garage door opener. Thieves tend to be more familiar with older models of garage door openers. They know that the remote for these models come with a set code. All they need to do is duplicate that code unto their device, and voila! They have access to your garage door opener. As for new models, they come with a rolling code programmed into their remote. This means the garage door opener uses a different code as it communicates with the remote each time. No more replay attacks or duplicates. Keep forgetting where you put your keys? Keyless tech is starting to make waves on the market. From storage, cars, rooms to now garage door openers. When it comes to garage door openers, newer models now come with an outside garage keypad. This lets you input the keycode to open the garage door in the absence of a remote. Even better are the latest keypads that support finger print scanning for access. This is the kind of convenient tech you won’t get with older models of garage doors. 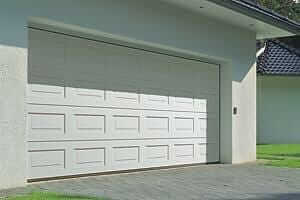 Does your garage door have an auto-reversal feature? If it doesn’t, then you can consider it a safety hazard. Garage door openers constructed from 1993 onwards should be equipped with this safety feature as mandated by the CPSC. This feature works by reversing or stopping automatically whenever a pet or child runs through the closing garage door. It can detect this through light sensors connected to the device. However, over time you’ll find that this mechanism starts to fail. So make sure to check if this safety feature is still working, if not, it’s time for a replacement. Not being able to use your garage door opener during a power outage can be hassle. The good news is that the newer models of garage door openers have come with a back-up power supply. This means you can continue to operate your garage door opener for hours more even during a power outage. This back-up power supply automatically activates when the power shuts down from a storm, accident or any natural calamity. It’s also especially important to have for households that have elderly residents or PWD’s. Read our guide about these best garage door opener. Besides, just imagine arriving home safely through a storm and find the power is out. The last thing you’ll want to have to do is to jerk that door open in the middle for the cold or fierce whether. If you’ve gone through this before, you might want to consider this reason to get a new one. Does your current garage door opener make a ruckus every time you open it? That’s because older models operate with a chain drive. These tend to make more noise than the belt drive or screw drive of the newer models. And still, compared to older models, newer models with a chain drive are also less noisy. You only need 5 good reasons to make a good decision right? Safety and security are reasons enough on their own. But with added convenience and comfort that can be your closer right there. Meanwhile, some also mention how aesthetics and cost of maintenance are also reasons for an upgrade. Especially if you’ve just redone your home or already spending regularly just to keep your garage door working. Overall, there are many benefits to getting an upgrade or replacement. It’s not a decision you have to make rashly because it can seem quite a spend. However, the cost can be higher considering the risks of an older model in safety and security alone. Feel like you need to understand these reasons more? Let us know in the comments below.